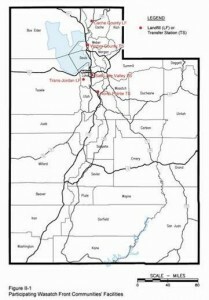 GBB, in association with EMCON/OWT, Inc. and R. L. Banks & Associates, Inc., evaluated three existing landfills and three proposed facilities as long-term options to serve the disposal needs or a portion of those needs for Salt Lake County, Salt Lake City, and other participating communities along Utah’s Wasatch Front. The evaluation included technical, economic, contractual, environmental, financial, and permitting/regulatory considerations for each alternative according to pre-established evaluation criteria. Transport considerations and development of both rail and truck haul costs and the associated infrastructure needs to accommodate such transport of waste were important elements of the evaluation. The evaluation also included a transfer station cost analysis using different transfer station capacities and field visits to existing and proposed landfills and three transfer stations. 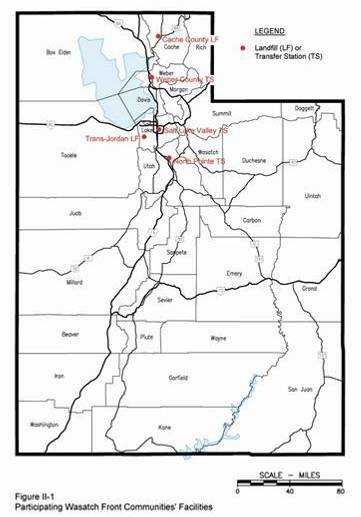 The participating Wasatch Front communities used the evaluation and findings of the study in their decision-making and subsequent procurement activities for contracting with disposal facilities to meet their long-term needs.